When it comes to packaging sweets and snacks – whether biscuits with a chocolate coating, crunchy nuts or salty snacks and savoury biscuits – sustainability and usability are key trends at the moment. As a result of the growing significance of to-go products at the point of sale combined with the ongoing increased demand for sustainably packed alternatives, the sweets and snacks industry is betting on eco-friendly and easy to handle packaging more than ever. 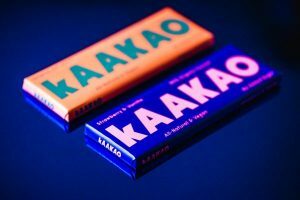 At ProSweets Cologne, the theme of packaging will be addressed in a number of ways. Various packaging machinery and material suppliers will present their new developments and services. These include among others Belgian Sweets Design, Robert Bosch Packaging Technology, Fuji Packaging, Gerhard Schubert GmbH, LoeschPack and Theegarten-Pactec. A new event titled Function meets Design, organised by Koelnmesse and the Fraunhofer Institute and designers, will focus on the challenges of packaging design and its significance for the consumer. Furthermore, various lectures will be held on this subject within the event programme. Big groups and medium-sized companies are placing more importance on sustainability. 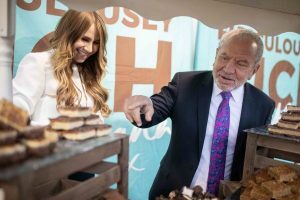 A survey by consulting company Smithers Pira came to the conclusion that this commitment should pay off at the point of sale. For the majority of distributors and brand owners interviewed, it is primarily the consumers who are demanding sustainability today when purchasing sweets. For packaging to be considered sustainable, it has to be recyclable, made of renewable, and if possible, lightweight material. It should also have a low ecological footprint and be either bio-degradable or compostable, is how Smithers Pira expert, Adam Page, sums up the most important statements. Many companies are picking up on these sustainability aspects across the entire packaging value chain and are consistently relying on material down-sizing. This strategy is being pursued by implementing packaging materials that can be easily recycled, and which thanks to reduced material thicknesses, save raw materials. Examples of samples for recycling products are foldable boxes made of certified forestry products. The portfolio ranges from wraparounds for chocolate bars to tins for stacked crisps and biscuit liners through to multifunctional display packaging for bags of sweets, which are said to guarantee easy recycling via the waste paper cycle. A further alternative to classic materials such as aluminium and plastic are films made of cellulose and bioplastics. Regrowing raw materials such as plant starch made of maize, potatoes or wheat, fibres containing cellulose as well as agricultural remnants are said to provide the source molecules for the bioplastic, which is gaining increased significance in the market. Companies are also working to meet market requirements for machines that are optimised for the sustainable process of a range of packaging materials. LoeschPack’s LTMDUO, for instance, enables all types of fold wraps for bars of chocolate and packs up to 180 bars a minute in biodegradable film. Thanks to the two-stage design, the machine folds and welds the film exactly – without flaws – which leads to a result that is comparable to the haptic and visual appearance of aluminium film. Whether it is about sustainable materials or packaging machines for chocolate, sweets or savoury snacks, ProSweets Cologne promises to offer support and guide the way to carbon neutral packaging. Under this theme, exhibiting companies are summarising their ecological conduct by compensating for their emissions with climate protection projects and are achieving CO2 neutral added value. Sustainability, however, is just one mega trend as classic on the go products, snacks and sweets, are frequently purchased spontaneously and eaten immediately. Above all, young millennials pick up products from the crisps and sweets shelves that are practical when on the road. The theme usability is a key focus of research and development activities. Whether it be a convenient resealable strip or practical tear-strip that is produced with the aid of cutting-edge technology, the aim is to develop packaging that is tailormade to suit the needs of consumers. From simple mugs with a clamp-on lid, through to pouches with a zipper as well as laser scores and tear-strips to simplify the opening process, exhibitors will demonstrate which new developments there are in this section. Fuji Packaging, which specialises in convenient packaging for sweets and snacks, is working to meet the demands of convenient packaging with its Alpha Wrapper. Thanks to the report control, the machine produces pouches that are sealed on one side for wafer thin mint bars, which can be easily extracted from the delicate packing. The machines GEA will present are characterised by high production speeds, including its Aquarius FlexFormer Extra High Capacity (XHC) lollipop former and SmartPacker TwinTube C bagger. The company will also focus on individual lollipop coating with its Aquarius CoatingLine, a fully automated line, which forms, cools, coats and wraps lollipops. With an output of up to 500 pillow bags per minute, the SmartPacker TwinTube C is able to handle fragile products. It also features an intelligent product-in-seal detection system that stops products from being stuck between the sealing jaws. The latest execution of the GEA Aquarius FlexFormer lollipop forming machine is the extra high capacity (XHC) version. It produces ball lollipops with diameters from 20-35mm. It can produce lollipops with fillings of gum, chewy candy powders or pastes. The speed ranges from 1,900 lollipops per minute to 2,770 lollipops per minute depending on the diameter of the lollipop. ACMA, part of the Coesia Group, will showcase three sweets and chocolate packaging machines for flat base and double twist format products. EMMECI, another company belonging to the Coesia Group, will also be present at the stand, highlighting premium chocolate packages and boxes. Hastamat will present its Vertical Multilane Wrapper (VMW), which packs square and round sandwich cookies. The design combines the advantages of a horizontal packaging machine with those of a vertical machine, the company says. Two different loading positions make it possible to package products upright (on edge) as well as one above the other (on pile) on the same machine. This is achieved by a newly developed grouping module. In addition, the machine can be retooled from one packaging format to the other within five minutes. Up to 500 cookies per minute are packaged per lane. This translates into a packaging material saving of up to 22 per cent compared to conventional solutions, according to the company. The system can be optionally expanded up to a total packaging output of 12,000 products per minute. On show at Proform’s stand will be its HY series extruders, which are designed to prevent product accumulation during the forming process. The company will also highlight how continuous mixing can streamline production lines and demonstrate its Intruder technology – four functions in one machine. Firstly, it cools hot, soft chewy candy or toffee mass coming directly from the cooking system then crystalizes. After this, colour and flavours are mixed into the ingredients, with the mass being fed into the Intruder. The candy mass is then split into several ropes – ideally six – to continually feed downstream forming equipment. Bosch Packaging Technology will showcase its testing equipment for jelly production, including medicated and functional gummies, such as cough lozenges, omega-3 and mineral-enriched products, as well as other supplemented jellies. On display will be the laboratory depositor, which is said to enable jelly producers to accurately test new products while quickly ramping up production of tested recipes to an industrial scale. The depositor will be equipped with a removable spraying unit for starchless automatic depositing. The company will also present its upgraded Rapidsolver BLK 2500 BR for dissolving jelly masses, featuring a patent-pending heat recovery system used to preheat the mass. This is said to which offer up to 50 per cent less energy consumption and reduced total cost of ownership (TCO). In addition, energy-saving dissolving is achieved through the optimised design of the machine, allowing steam pressure to be reduced by 0.3 bar, further relieving thermal stress on the product and preserving its quality and taste, according to the company. Tna and NID will highlight its range of turnkey solutions for the confectionery industry. This includes NID’s flagship starch mogul M3000, a fully integrated and automated solution, comprising feeder, starch buck, depositor and stacker. The system is able to process a range of single and multilayer starch-moulded products, including gums, jellies, marshmallows, fondant creams, liquorice and crusted liqueur, as well as striped and centre-in-shell products. The latest version of the M3000 comes with a range of new features, including an automatic starch gate, a modular depositor frame and high-speed turntable demoulding. LoeschPack will present its latest development for hermetically sealed fold wrapping. The RCB-HS wrapping head machine is suitable for small chocolate products, combining a hermetically sealed pack style with a traditional fold wrap appearance. With an output of up to 600 products per minute, the machine produces the fold wrap in one wrapping head and hot-seals the pack circumferentially. The heat bars seal film against film, ensuring tight packaging and preventing damage to the products. The company will also showcase its F-Series platform for packaging chocolate, wafers and chewing gum in flow packs. The machine runs with an output of up to 1,500/minute and brief format changeovers can be achieved in less than 15 minutes. Intelligent process engineering for the seal modules means fewer rejects when stopping and starting the packaging machine, according to the company. From 2018, the technology will also be available for horizontal sealing. Lareka will present its newly designed BTB bar wrapper for traditional premium packaging styles. 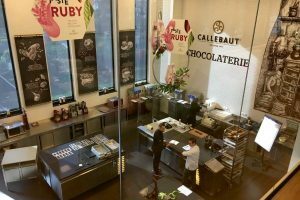 The machine, which is suitable for crafted chocolatiers, has a size range of 25g to 250g bars and can be converted in less than 15 minutes by an operator. It is built according to current safety and hygiene standards. The company will also demonstrate how an existing single/double stage bar wrapper can be adapted to meet new market trends and how to wrap small premium chocolates efficiently at high speeds on its patented NP350sr. Specialist ingredients supplier Thew Arnott will showcase its range of AraTAs confectionery polishes, varnishes and anti-sticking products, as well as highlight its use of sustainable palm oil across products suitable for use in confectionery production. These include shellac-free polishing systems as well as Zein, a natural, odourless, tasteless and edible, vegan alternative to shellac that can be used for many encapsulation, coating and adhesive applications. The company’s confectionery products only use RSPO certified ingredients. Focusing on natural confectionery, GNT will demonstrate how its Exberry colouring foods can replace additive colourants. There will be an experience room on-stand, which is modelled on GNT’s application laboratories so that visitors can get insights into technical details and new innovations. In addition, a supermarket area aims to raise awareness for the importance of clean label products and demonstrate the various application possibilities of colouring foods. The company’s Exberry portfolio comprises more than 400 different shades. 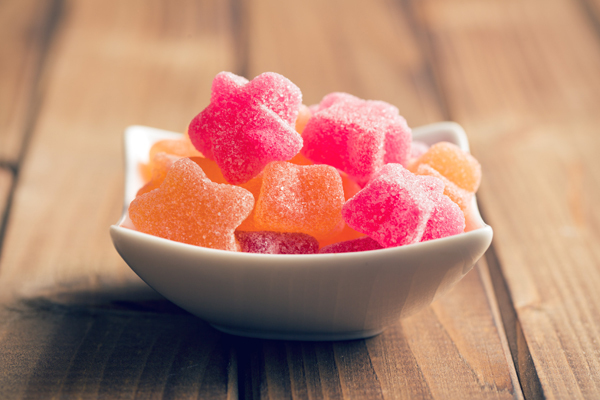 Available as liquids, powders, micronised powders and oil-dispersible solutions, they are suitable for confectionery products, including fruity gums, high boilings, hard and soft pannings to icings and pressed tablets. Hamburg Dresdner will present various conching technologies on-stand, including its PVS Conche, which is suitable for the processing of premium chocolate mass. Also on display will be the company’s MacIntyre refiner/conche, a technology that allows manufacturers to combine the process steps of mixing, refining and conching in one single machine. Hänsel Processing will exhibit its LSK-5 laboratory batch cooker, which can be used for the production of fillings, caramel, toffees, chewy candies, jelly, hard candy and other masses. The equipment, which has a vacuum pump and scrapers in the cooking vessel, offers a broad field of application for the user, the company says. Some 90 per cent of the company’s activities are generated by processing machinery with a focus on any kind of sugar confectionery products. Nearly the whole range needed for the production of confectionery, from single machines to complete processing lines, will be on display.